What is Six sigma tutorial? Six sigma is a methodology used for the enhanced customer satisfaction and profit. It is a top rated management philosophy developed to improve effectiveness and efficiency in working methodology. 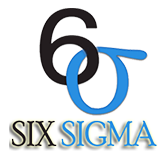 This tutorial explains about what is Six Sigma is and how to apply Six Sigma in an organization. This tutorial is targeted for the beginners to make them understand the basic functions of Six Sigma. To learn this tutorial you should have prior exposure to Quality Control and Quality Assurance and related terminologies.